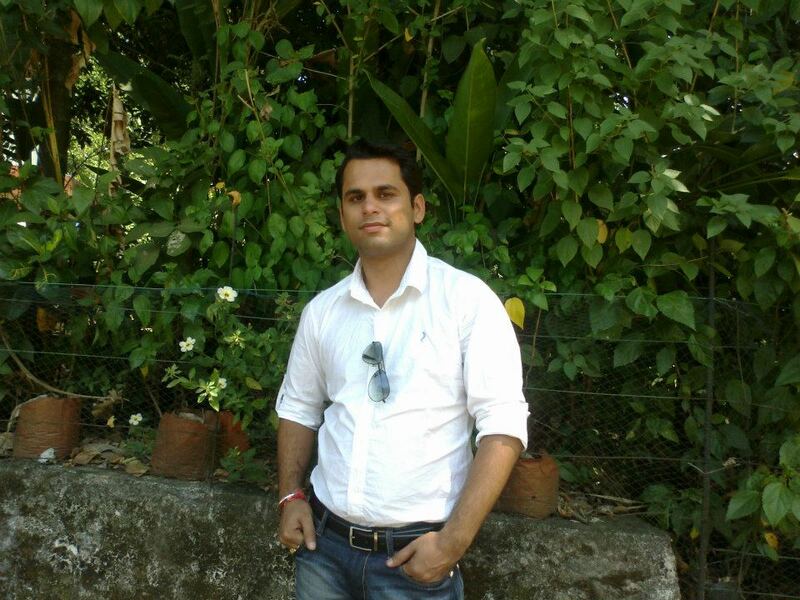 Vikram Buddhiraja- Full time Corporate professional+ Part time Blogger + Weekend Volunteer creating Impact!! I am a Supply Chain Management professional with a graduation in Mechanical engineering from National Institute of Technology. My daily job revolves around providing supply chain solutions and catering to the needs of power plant projects. I am married and blessed with a lovely son. He’s soon going to be one year old. In my leisure time, I read books on different subjects and surf on the net for different ideas, people etc. who have made a real social change and take inspiration from them. Volunteering to me is helping the needy in fulfilling their dreams and improving their quality of life with your knowledge, skills and time. It was always at the back of my mind to serve the unprivileged and give back to society. But, I kept procrastinating! Then, one fine day, I decided to search for a community service activity on the web where I could contribute on weekends. That’s how; I came across this wonderful NGO iVolunteer. I read all the information about them and what they do and I quickly registered on their website with my details. Within few days, I received an invite from iVolunteer for their orientation session. The orientation session gave me a chance to meet people from different backgrounds with a common interest of serving people. I joined the assigned project which required me to provide marketing direction for the NGO-Society for participatory and integrated development (SPID). I was given contact details of another person named Gautham who was also joining this project with me. My first visit to the NGO was very moving as I could see how SPID was helping the unprivileged people of that community. Gautham and me met Meenakshi who was the co-coordinator of the NGO and we discussed the problems they are facing in selling the embroidery products made by trained women. The NGO was providing the vocational training for embroidery work to the women living in the slums to help them earn and make their lives better. Vikram and his co-volunteer worked together in finding out different channels for SPID to promote its products. 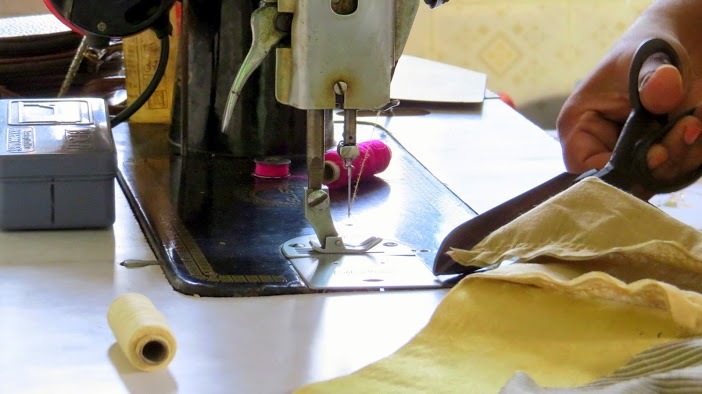 The need for the marketing strategy sprang up when SPID realized that though they were able to cover a lot of women under the vocational training course, there were no new orders however, for the embroidery products, they were making. We also had meetings and telephonic discussions with the Head of SPID Mr. Awadesh ji- a polite and soft-spoken man- you can very well see the passion in his eyes to uplift the unprivileged sections of the society. He guided us and clearly defined the problem and the various issues they were facing in selling the products. The challenge for us now, was to create a strategy around promoting these products with minimum cost but maximum outreach. We started searching, thinking and discussing on the various marketing channels which they could pursue. Gautham and I had to research quite a bit to understand how popular NGOs were doing this, what channels would best suit SPID and which platforms could help SPID in marketing their products. After 4 months of repeated meetings and discussions over calls, I made a presentation to iVolunteer and SPID with our recommendations and delivery plan, which were reviewed and finally approved by all parties. The learning I’m taking from this experience? I was able to find solutions for this NGO which had so many constraints. Also, I got to understand the NGO closely and contribute in their good work for improving the lives of people. This experience has been truly touching and with immense pleasure I would be willing to experience this again! Never ever in my professional life, I have felt the kind of happiness that I feel now after completing this project successfully. We are still associated with iVolunteer and SPID and we would call this project truly successful when they receive the first breakthrough order through the recommendations we have made. If our strategy could make their vocational program, a sustainable business model without any external aid, nothing more like it! Next Post Designing for CHANGE !! !